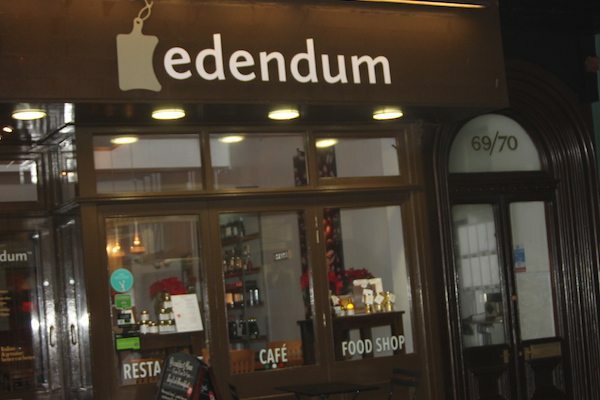 Edendum (from the Latin, ‘eating’) is a brand new Italian bistro on East Street, taking up residency in the space formally occupied by Indian Summer. Comprising an Italian restaurant, café and food shop, Edendum has a lot to offer; the time-honoured culinary tradition of Northern Italy with food to enjoy at any time of day. We are here to sample what their evening menu has to offer. 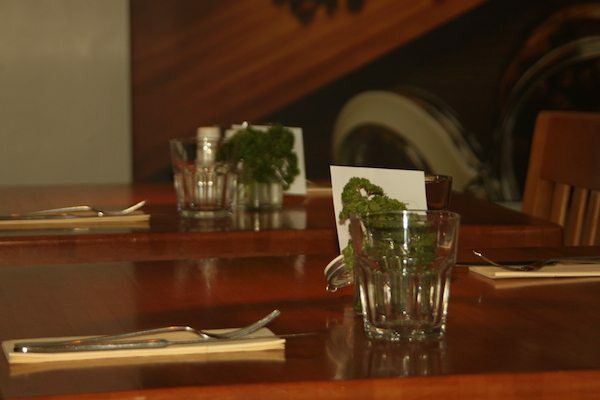 It’s a lovely, authentic and cosy place, with wall-to-wall food and wine on display to whet your appetite. We are greeted by Diego, who is passionate about what Edendum is about. He has so much to say about the produce on sale – all shipped in from Italy, the wine – all Italian of course, and the dishes on their small but thoughtful menu – changing every two weeks to keep things interesting. Everything they sell and use in their cooking is as authentic as it comes, sourcing everything from small Italian producers to guarantee quality. He tells us of the ‘all natural produce’ that goes into their dishes – ‘just like [his] grandma used to make’. He speaks enthusiastically about why they wanted to open in Brighton; he clearly has a passion for the city and admires our love of quality, local produce and our support for independent restaurants. At Edendum nothing is frozen, everything is made fresh, even the croissants, which he comments is no mean feat. These, along with their bread (proofed for 48 hours to aid digestion) and wonderful looking cakes, are made downstairs in Edendum’s ‘small factory’. Another intimate touch is the long ‘friendship table’ that dominates the front half of Edendum. 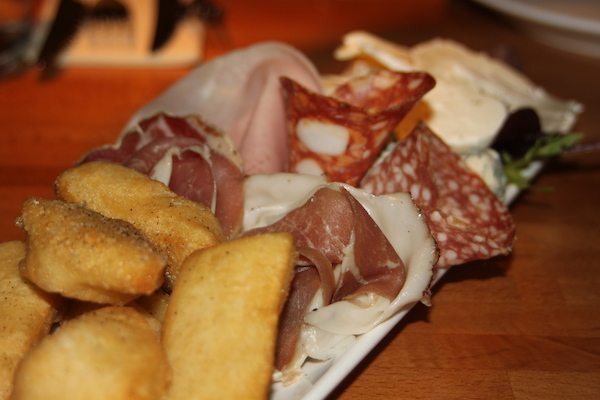 Diego explains the concept is built around their sharing plates – Gnocco Fritto – where groups of friends can sit together to enjoy a variety of different platters, including the best Italian meats, cheeses and olives served with deep fried strips of pizza dough. At some point he plans to develop this concept to include some of the produce on the shelves, giving people the opportunity to try out a jar of something great alongside their platter. We discuss the wine and order two glasses of ‘house’ red. 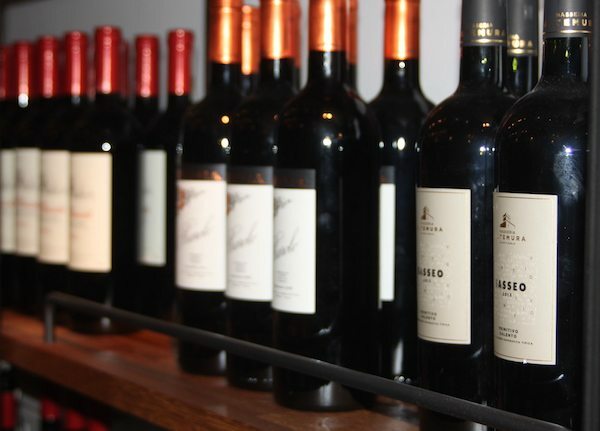 The notion of ‘house’ wine at Edendum differs from what you might be used to. Diego explains that at Edendum the ‘house’ wines are still high quality, they are just more affordable. The ‘Sangiovese’ he pours us is smooth, seriously drinkable and very reasonably priced at £3.85 per glass. 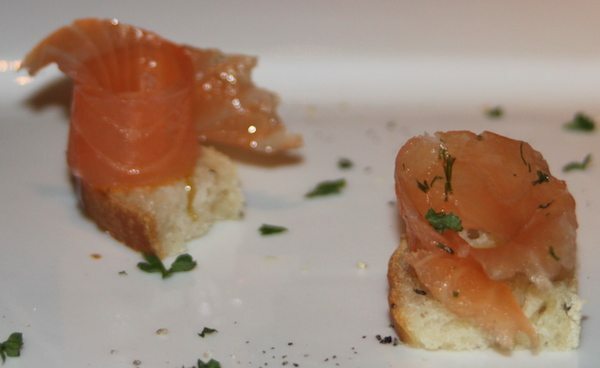 We are presented with two delicate curls of salmon – cured in house – on beautiful homemade bread while we await our sharing platter to start. The ‘Misto Salumi e Formaggi’ (£11.95) sharing platter that follows is every foodies dream: deep-fried strips of pizza dough served with Parma ham, Milano salami, cooked ham, herbs lardon, coppa, spicy Spianata salami, Gorgonzola cheese, buffalo mozzarella, goat cheese, Brie cheese, and Toma cheese. 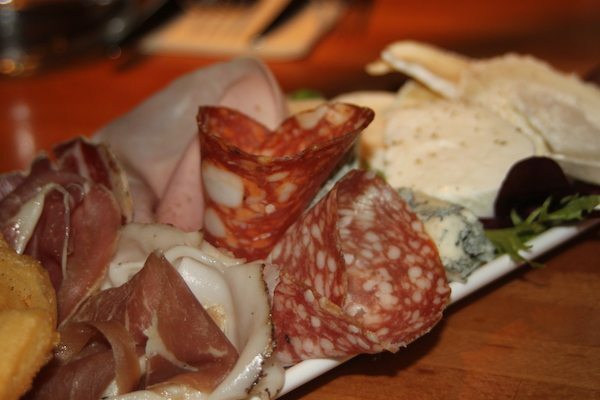 It is impossible for me to pick a favourite from this array of glorious Italian specialities. The platter is perfectly presented and every element is undeniably of the highest quality. 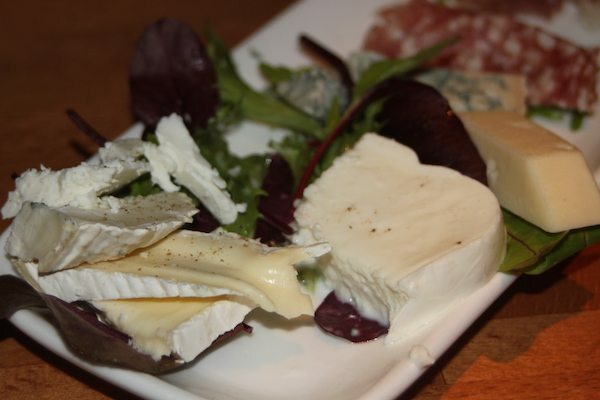 I adore cheese; I literally can’t get enough of it and I am left wanting for nothing in the face of this plate. Alongside my glass of Sangiovese, I am in cheese and wine heaven. The meats are melt in the mouth good and with the deep-fried pizza dough, it’s a match made in heaven. It’s no good ordering this if you are thinking about your waist line; this selection is simply great for the soul! For our mains we take a recommendation each from Diego from the modest selection of delicious sounding ‘Primi Piatti’ and ‘Secondi Piatti’ dishes. I personally can’t eat Italian without being seduced by pasta. Diego – an Italian – tells me that he is ‘not a fan of pasta’ – believe it or not – but even he is a sucker for the ‘Linguine al Golfo di Napoli’ (£12.95): home-made pasta with mussels, mini octopus, squid and crevettes with a tomato sauce. I’m glad he tells me this; I order without hesitation. 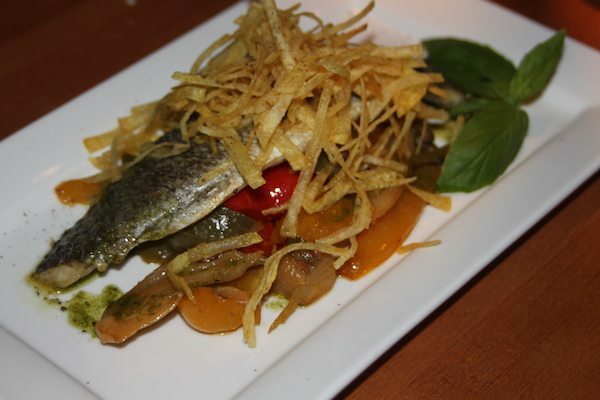 My partner is persuaded by the ‘Branzino in Crosta di Patate’ (£12.95): sea bass covered with potatoes served with roasted peppers, fennel and basil oil. He is assured that this locally sourced fish is cooked in a special way making it really juicy. Both dishes arrive alluring and glistening. I wonder how Edendum make something so simple taste so good. 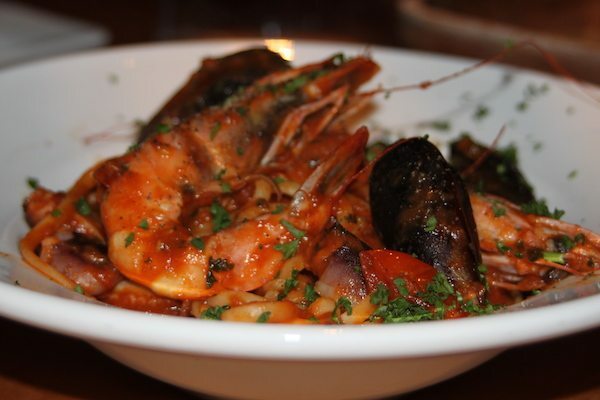 The seafood is cooked to perfection and the pasta is al dente (not cooked within an inch of it’s life!). My partners fish is indeed ‘juicy’, full of flavour and complemented by the bed of roasted peppers it is resting on. It is set off by thin chips of potato, scattered over the top, adding texture and crunch to this harmonious plate. One of the tastiest Tiramisus I’ve had in a long time. 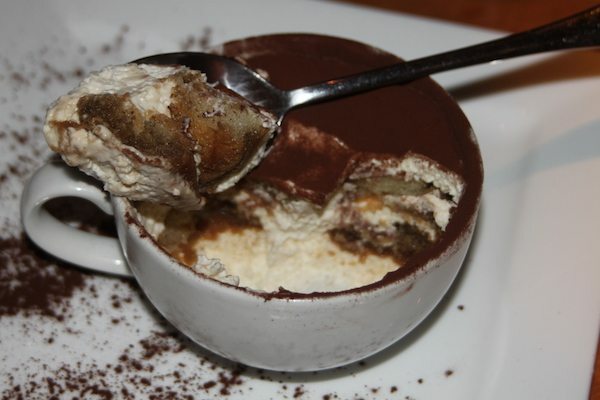 I may have said this before, but I’ll say it again, I am weak in the face of a Tiramisu (£4.95). Dessert is a must tonight! I’ve got a taste for this cuisine and I don’t really want the night to end. 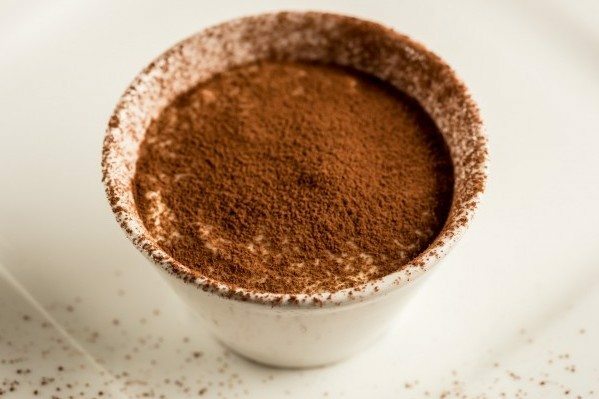 Charmingly served in a coffee cup and smothered in dark cocoa, it is just the right size for us to share – after devouring our formidable sharing starter and the mains that followed that. What can I say about dessert? Quite simply, I would happily eat it every day; it was hands down one of the tastiest Tiramisus I’ve had in a long time. Every ingredient was added in just the right proportions and the overall result was one of pure delight! We’ve definitely experienced a taste of Italy tonight. Our host has been informative, attentive and passionate about every aspect of Edendum. I have been impressed by their ethos and loyalty to real Italian cuisine. 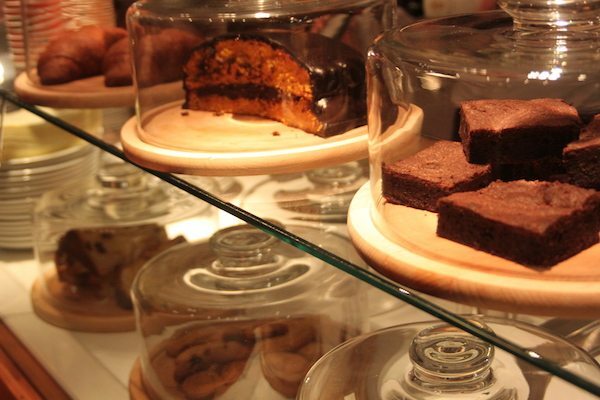 It is clear that everything on the shelves, from the in-house bakery, and dishes on the menu have been made with love, and a lot of Italian know how. 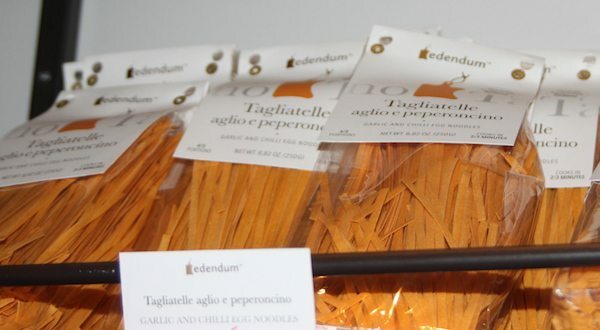 If you want to taste the difference, find time to eat real Italian at Edendum. I don’t think I need to say if I’ll be going back… the question is not if, but when!